Smoother gameplay, bigger worlds, life-like detail, faster load times… and so on. This is pretty much how Microsoft would describe their upcoming Xbox One overhaul/remake/revision/something, Xbox One X. Oh, and Unity just added support for it, which means – among other things – 4K HDR rendering, as well as “increased power”. As for exactly how little/much, who knows? Who indeed. Well, aside from Microsoft’s tech people of course, but what we do know at this point is that taking advantage of the hardware improvements “is as easy as changing some quality settings”. Probably won’t surprise most Unity veterans though, as for the longest time, the company has been fond of embracing user-friendliness – and this transition phase (if one can even call it that?) seems to be no different. Anyway, to get started building for the Xbox One X (did I mention how incredibly silly its name is? ), all you have to do is sign up for the ID@Xbox program, over on http://www.xbox.com/id, and you’re ready to take your game to the next level; ridiculous resolution increases, crazy performance boosts and all. 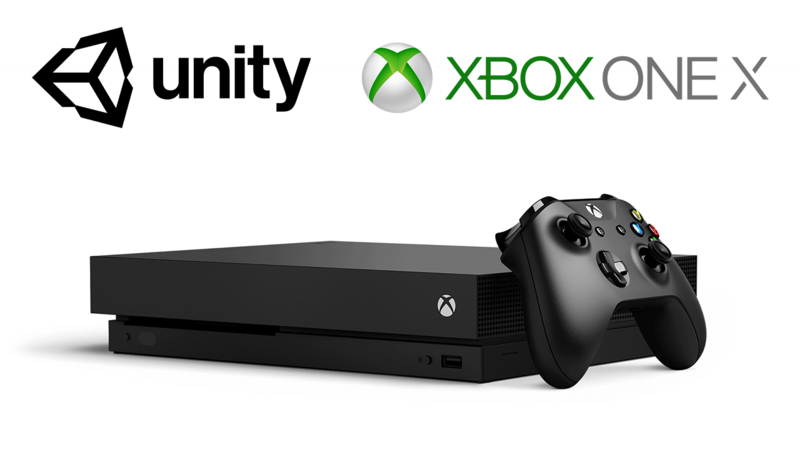 Just keep in mind that the Xbox One X will carry a $499 price tag once released, which is set for… early November 2017. Unless Microsoft delays it, of course. Because who’s to say they won’t? Fingers crossed they won’t.